BATON ROUGE, LA -- Graphic video provided to ABC News by a Baton Rouge, Louisiana, convenience store owner shows the fatal shooting of a black man during a confrontation with two white police officers. Baton Rouge police said the early Tuesday morning incident began when uniformed officers responded to a disturbance call from someone who said a black man who was selling CDs threatened him with a gun. 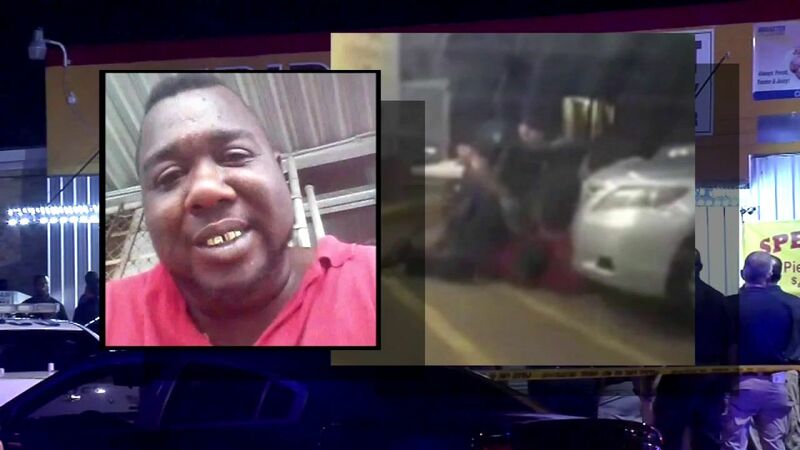 Officers approached Alton Sterling, 37, in the parking lot of the store, and "an altercation between Sterling and the officers ensued," police said. Sterling was shot during the altercation and died at the scene, police said. In the video from the store owner, someone says "gun" while one officer is on top of Sterling -- who is lying on his back -- and one is next to him. Multiple shots are fired. The camera then moves away; someone says "get on the ground" and three more shots are heard. The video then pans back to Sterling showing him lying on his back with a gunshot wound to his chest and an officer by Sterling's head pointing a gun at him. Sterling's body after the shooting has been obscured in the video which was edited by ABC News. In the video, someone says "shots fired" and an officer then takes an object out of Sterling's front pants pocket. The U.S. Justice Department opened a civil rights investigation Wednesday into the incident. In another cellphone video taken by a community activist and posted online, two officers had Sterling pinned to the ground, and gunfire erupted moments after someone yelled, "He's got a gun! Gun!"